Beauty on Demand is a growing market in every major city, but the need for luxury hair and makeup artists on location, is becoming nearly a necessity in the vibrant, bustling environment of Manhattan. For the female business professional, specifically whom rides on the subway in the morning, works until 5pm and lives in the boroughs - an on-call artisan is a Godsend when trying to glam up for the evening's next adventure. Jessica Mae, WarPaint International's, Creative Director hosted a launch party for her company on February 12th, 2015 at iconic Brooklyn based club, Verboten. 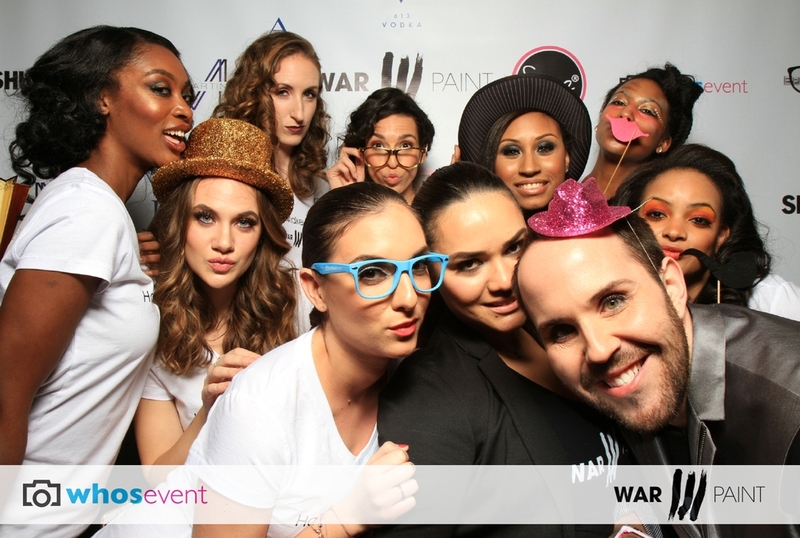 WarPaint International Launch Party. Hair & Makeup Artists in New York City. The launch party was a great success and offered a host of sponsors, food, drinks, a DJ, and Hair & Makeup touchup bars. WarPaint Artisans and models offered complimentary services, avant grade looks and discounted pricing to give our artists a test run. New York City Makeup Artists & Hair Stylists can be booked on demand on the WarPaint International website or Facebook business page. Local New York City television host Serena Spates, of Serene Life Show visited with Owner Jessica Mae the night of the launch party and will be featuring WarPaint International for weekly beauty tips and tricks. You can see WarPaint featured currently on her "Video of the Week" below. Serena Spates features new beauty concierge service WarPaint International. New York City Swank Stylista, Raven Roberts appeared on the scene February 12th to see what all the buzz was about. Raven Roberts. New York City Fashion Stylist. Nancy Hang from MTV visited the Hair bar with WarPaint Artisan Mirna. She had nice things to say on her NYFW coverage. MTV's Nancy Hang with WarPaint Artisan Mirna. Previous to the launch party, New York City Fashion Blogger, Camee Shae worked with WarPaint NYC Market Manager, Maggie Jessen and hair stylist Alex for a sultry "Night on the Town" look. Read the story at Camilla and Me. Camee Shae. New York City Fashion Blogger. This mobile team of New York City Makeup Artists and Hair Stylists would have not have received such warm and welcoming evening without the help of some key sponsors. 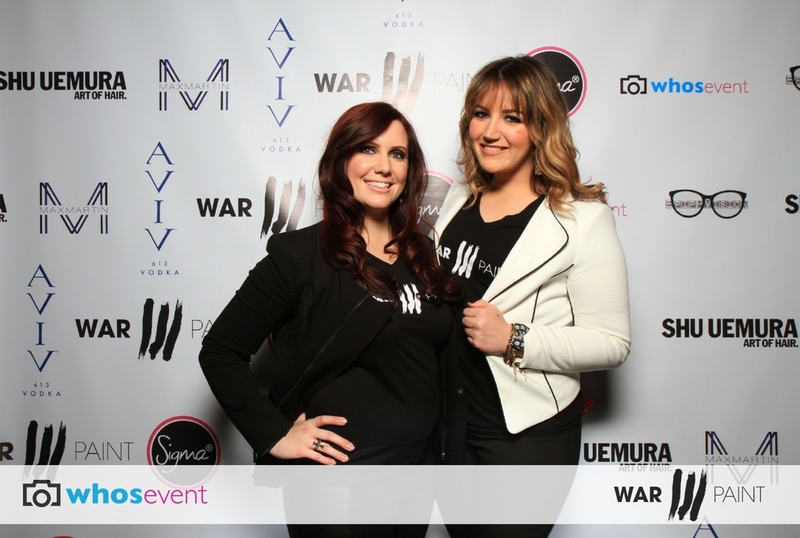 The three main sponsors for WarPaint International's launch party were also three Minneapolis companies doing business in New York - Sigma Beauty, Max Martin Shoes, and Aviv 613 Vodka. Sigma Beauty graciously sponsored Makeup touchup stations, offering a range of foundations, color palettes, brushes, and more. Right next to them were Hair touchup stations sponsored by Shu Uemura - the Art of Hair. The candid photos in the Cabaret Bar in Verboten were taken by Shawn of Epiphvision EV. The first 50 guests to arrive also received complimentary swag bags also sponsored by Sigma Beauty and Max Martin "American Luxury Shoes". 50 lucky people left Verboten with a $200 gift card towards the purchase of their beautiful hand crafted high heels. Guests received $200 gift cards to Max Martin, American Luxury Shoes. Though guests had a brilliant time snacking at the bar, chatting with WarPaint Artisans, dancing to the DJ and getting glammed up... The real entertainment for the evening was a New York Photo Booth company called "Who's Event Booth". Mike, the owner came equipped with remote cameras, social media logins, props, hats, etc and the crowd had a blast. Check out this gallery of images below.